Through innovative platforms, scalable integrations, and real-time geo-tracking, your experience working with us is simple and stress free. Don’t settle for benchmarks that allow for mediocrity; demand more from your partners. When you work with us, we design and deploy customized solutions that automate behind-the-scenes processes to streamline how we do business with each other. Acting as an extension of your team, our technology dramatically accelerates transactions, eliminates room for error, and provides complete transparency so that your experience working with us is frictionless. We integrate faster and smarter than anyone else. It takes us two days to seamlessly connect with your systems, while it can take upwards of six months for other 3PLs. Whether you require EDI integration or need us to hook into your TMS, we build customized solutions around your specifications—rather than expecting you to conform to ours. Unlike our competitors, there is no minimum volume commitment, no internal resource drain, and no additional cost to you. We are committed to your customers, and we know that increased visibility helps you stand out. 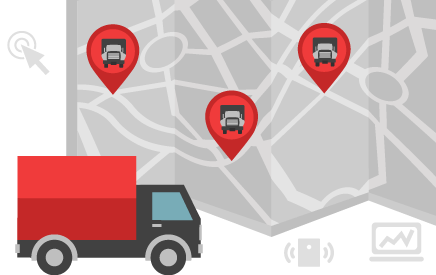 We've taken GPS-enabled tracking tools that asset-based carriers use for their fleets and layered in additional functionality for even more transparency. We not only provide real-time tracking and visibility from pickup to delivery, we also automatically update your systems and teams for more accuracy and less hassle.